Dr. Williams' book also offers life-saving practical tips on stroke prevention. 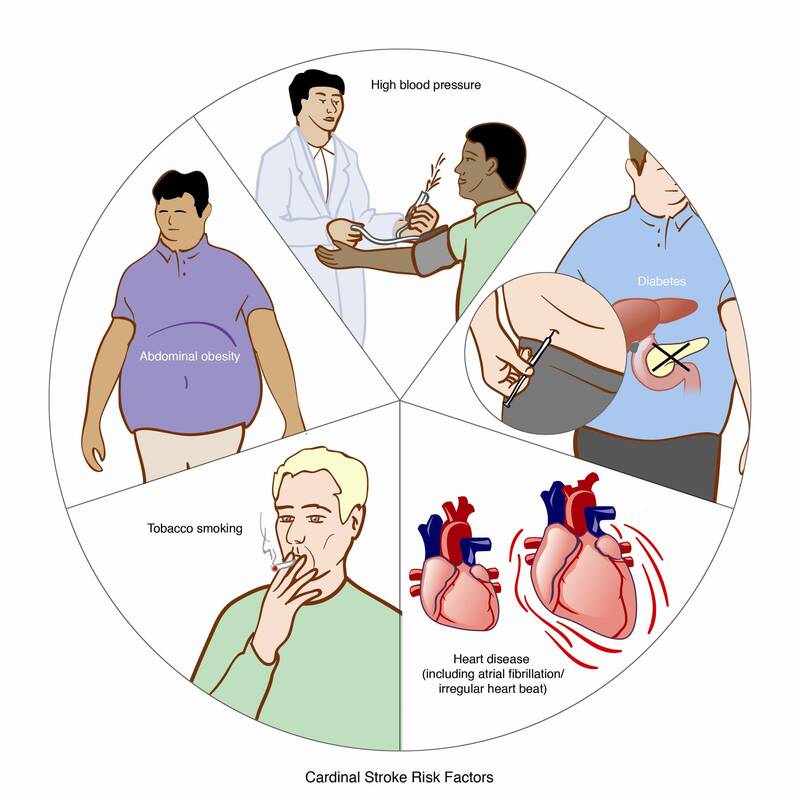 Here are just a few of the stroke prevention strategies. May was stroke awareness month. Dr. Olajide Williams, my colleague and friend at Columbia University Medical Center, has been a great teacher about the importance of recognizing stroke symptoms quickly. Getting the person to a stroke center as fast as humanly possible to receive the latest highly effective treatments can mean the difference between a full recovery and persistent disability. 795,000 Americans will have a stroke this year. That's one stroke in the U.S. every 40 seconds. During a stroke the supply of blood and oxygen to the brain is interrupted. This is also called a "brain attack" because brain cells begin to die within minutes. In his book, "Stroke Diaries," Dr. Williams tells the human stories of stroke patients and their families. He gives a cutting-edge view of new stroke treatments which work, dare I say, miraculously, if the person arrives for treatment within a brief window of time. The acronym FAST helps ambulance personnel with stroke recognition: "F" stands for one side of the face drooping down when the person is asked to smile; "A" stands for a problem lifting one arm; "S" stands for slurring or jumbling up of words or speech; and T represents time: time to call 911. As I review these stroke symptoms following this Memorial day weekend, I think back to a night more than 40 years ago which will always be seared into my memory. Although he was a very good athlete, my father smoked like a chimney. You name it: cigars, pipes and, of course, tons of cigarettes. He smoked day and night. When he was 45, he developed an enlarged heart and had to give up his beloved backyard and move closer to his work in New York City. One night we were all watching Johnny Carson on late-night TV, and my father had a stroke. It seemed like an eternity for the ambulance to arrive. He quit smoking, and he struggled to regain his speech, but he never fully recovered his physical strength. herbs to add flavor to food. Avoid high-salt meats, if possible. Increasing fruit and vegetable consumption to at least five servings per day may reduce the risk of stroke. Fresh fruits and vegetables are potassium rich and low blood potassium has been linked to increased stroke risk. Fish is a good source of omega-3-fatty acids, which may reduce the risk of stroke. Minimize frying foods and reduce sweets and sugar-containing beverages. Attend all scheduled physician visits. I truly hope stroke awareness reaches as many families and communities as possible with Dr. Williams' message that stroke can be prevented and, when necessary, effectively treated by getting that person quickly to the nearest stroke center. Dr. Seidman is author of "Smoke-Free in 30 Days: The Pain-Free, Permanent Way to Quit" with a foreward by Dr. Mehmet Oz. An audio book is available from Random House. Dr. Seidman first introduced his own program to stop smoking as a featured expert on "The Oprah Winfrey Show" with Dr. Oz early in 2008, after 20 years of helping smokers at Columbia University. For more details about the book, go to www.danielfseidman.com. Dr. Seidman has written about his father's life, smoking, and his stroke here.